Dr. Narendra Dabholkar was born on 1st Nov. 1945,in Satara,a small city about 100 km away from Pune. He studied in the New English School of Satara,then in Willingdon College in Sangali and did his MBBS from the Medical College in Miraj. In his college days, he was the captain of the Kabaddi team of the Shivaji University.He represented India against Bangladesh in a Kabaddi tournament. He won the most prestigious Chatrapati Shivaji Krida Puraskar for Kabaddi from the government of Maharashtra, twice during this period. After obtaining MBBS degree, he practiced medicine as a general practitioner for nearly 12 years, gave up his practice and became a social activist.To begin with he joined the movement- “one village-one source of drinking water” started by Baba Adhav, a leader of the movement for social justice and equality.He also participated in the movement of renaming Marathwada University as Babasaheb Ambedkar Marathwada University for which he was jailed during the agitation. In 1983 he started working for eradication of superstition. In 1989 along with other like-minded people, he founded the Maharashtra Andhashraddha Nirmoolan Samiti (MANS). He was the Executive President of MANS right from its commencement in 1989 up to 2010.In 2010 he handed over the charge to Mr Avinash Patil who is the present executive President of MANS, while Dr. Dabholkar was designated the Founder President. The Chairman of MANS is Mr N.D. Patil. During the past 30 years Dr. Dabhokar has written a number of books on various aspects of superstition and its eradication, as also on inculcation of scientific temper in society and for this, he has given thousands of speeches .He organized innumerable campaigns to confront and expose hundreds of Babas, Buvas, Tantriks, Mantriks, Ammas,Matas and Bogus Doctors and brought them to books. He led many agitations against various forms of Superstition,including Pseudoscience, inhuman practices to cure diseases and pretending to drive away ghosts possessing the victims, animal sacrifice in temples and pollution of water and air. Although Dr Dabholkar had come to symbolise Andhashraddha Nirmoolan Samiti, it was not the only cause, he was dedicated to. He had a multitasking ability. Besides ANS, he was the editor of the Weekly Sadhana started by Sane Guruji; he established a de-addiction institution named ‘Parivartan’ at Satara; he founded along with other like-minded friends ‘Saamaajik Kritadnyataa Nidhee’ (Social Gratitude Fund), a trust to show gratitude and offer financial support to deserving social workers. Being a great orator with a photographic memory, he could quote from many Sants like Dnyaneshwar and Tukaram to modern poets like Kusumagraj and Padgaonkar. He had a vision, at once microscopic and macroscopic. He could connect with ordinary people as well as intellectuals with equal ease. Dr. Dabholkar always kept his cool; he did not react to criticism or threats; several suits were filed against him in various courts, all over India. Many abuses were heaped on him by his adversaries but he refused to file any defamation case against them; he went on with his own work undisturbed and came out of all the law suits unscathed eventually. He was well aware of the risk involved in exposing the godmen and their so called miracles. He refused police protection offered to him because by accepting police protection for his own person he did not want to endanger the lives of his colleagues. He had received open threats from his enemies that they would soon make him another Gandhi. On August 20th they finally succeeded in extinguishing this flame and plunged all of us into darkness. But only for a short while; for multitudes have now united together to fight irrationality in all fields; the government promulgated an ordinance “Maharashtra Prevention and Eradication of Human Sacrifice and other Inhuman, Evil and Aghori Practices and Black Magic”which act the government has kept pending for several years. He had initiated the bill over 18 years ago and struggled to get it passed in the Maharashtra State Assembly for the past 14 years. Now people and politicians from other states are demanding a similar law in their state. 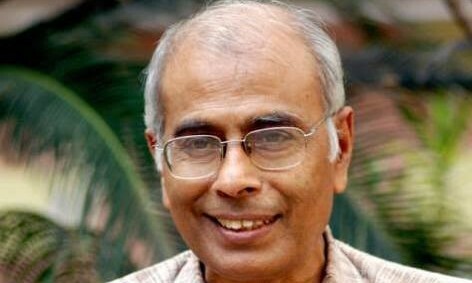 The best accolade to Dr. Dabholkar’s memory would be the eventual triumph of Rationality. Dr. Dabholkar comes from a big family of highly cultured and educated intellectuals. His wife Shaila, his son Hamid (the name is suggestive enough of his outlook) and his daughter in law are all doctors. His daughter, Mukta is a social worker.